How to Engage Your Readers and Encourage Interaction. Hi everyone and welcome to Day 9 where we continue to consider our readers. Today we will look at how to engage an audience. Blogging can feel like a very one-sided conversation sometimes. You’re sitting there, typing away, and sharing content with your readers. But you don’t hear anything back. They read and respond with silence. The good news is that it doesn’t have to be that way. But how do we attract loyal readers? Blogs were designed to facilitate engagement and communications. There’s a reason you can leave comments. 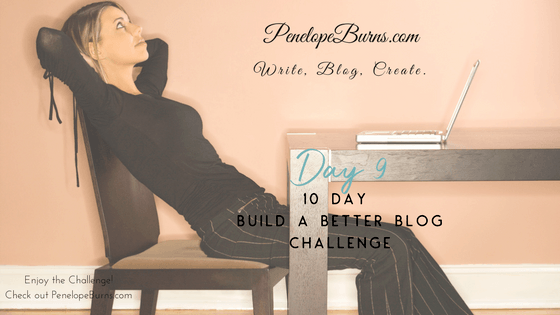 All it takes, is a little encouragement to get your readers to do that on your own blog. Combine that with a little social media interaction and there’s no reason you can’t turn this into a fully engaged conversation that will help you grow a loyal base of fans. But first you need to know how to engage an audience. Obviously for you to get an engaged audience you need great content. Your posts need to be as good as you can make them. Don't think that once you have published a post it is complete. Your blog post is never finished and if you can add to the value your readers are getting from a post, then do it. Interaction helps too because with each email your readers send you, with each comment they post, and each social media post they write you learn a little more about your target audience and how you can best serve them. And that right there is the key to becoming a profitable blogger. Know your market, serve your market, and present them with offers to help them reach their goals or fill their need. Be specific with your information and your offers. Help your audience and they will keep coming back. We know it’s important, but how do we get the ball rolling and encourage our audience, our readers to interact with us bloggers? We do it by asking them questions, by asking them for feedback and by encouraging them to share their options - right from our blog posts. Let me give you an example. Let’s say you’re writing a post about getting your baby to sleep through the night. Within the post, ask your readers how old their kids are, or what their own experiences are with their infants. Ask them to share if they are struggling with getting enough sleep right now because baby wakes them up every few hours. Encourage them to share their stories and tell them exactly where and how to do it - by leaving a comment below. The same goes for social media engagement. Let's look at how to engage an audience on social media. When you post a link to your latest blog post, ask your friends and followers to like, share, and comment. Then let them know how much you appreciate it when they do. Of course you can get the conversation going there too by asking a question related to your blog post on Facebook for example. It’s a great way to share another link to your blog post and get the conversation going at the same time. As your blog starts to grow and you’re adding more and more posts, chances are readers won’t see every single post you write. Why not make it easy for them to find related content by cross linking it where appropriate. Here’s what I mean. Let’s say you blog about social media marketing and this particular post talks about using images effectively on Facebook. You could link within that post to an older post where you talk about using images on Twitter, or a more specific post where you explained how to fix things when Facebook doesn’t pull up the right image from your site. Do you see how this works? Let’s look at another example. Let’s say you’re writing a recipe blog and you’re sharing a new recipe for an amazing BLT tomato salad. You could link to an older post where you shared how to cook bacon in the oven. This pretty easy stuff, right? This strategy serves a few different purposes. You’re engaging your readers more with your content. This gives them a chance to get to know you and your log a little better. It also means you’re getting more exposure to your ads and your visitor numbers will start to look better. It also helps you with search engines, believe it or not. They keep track of how long readers stay on your site and if they click around to read more. This is an indication of the quality of your content and your blog. In other words, if you can get readers to stick around longer, it will help your blog rank higher in the search engines. Last but not least, the more pages you convince your readers to take a look at, the higher your chances that they’ll comment or share your links on social media. That, in turn, will help you broaden your reach and grow your audience. Give these tips a try and see if you can’t get your readers to engage and interact with you. It’s well worth the effort. It will also help with your internal link building. Make the effort to try and start a conversation on every post. For your next post, think about the aim of your post. Identify where you can encourage interaction on this post. Cross link to any relevant older posts. Post on social media and encourage interaction. Each time you post or publish, consider how you can encourage readers to interact. So, these are your tips for Day 9. Get those conversations flowing! See what you can do to engage your readers on your blog and social media sites. Let us know what works for you.